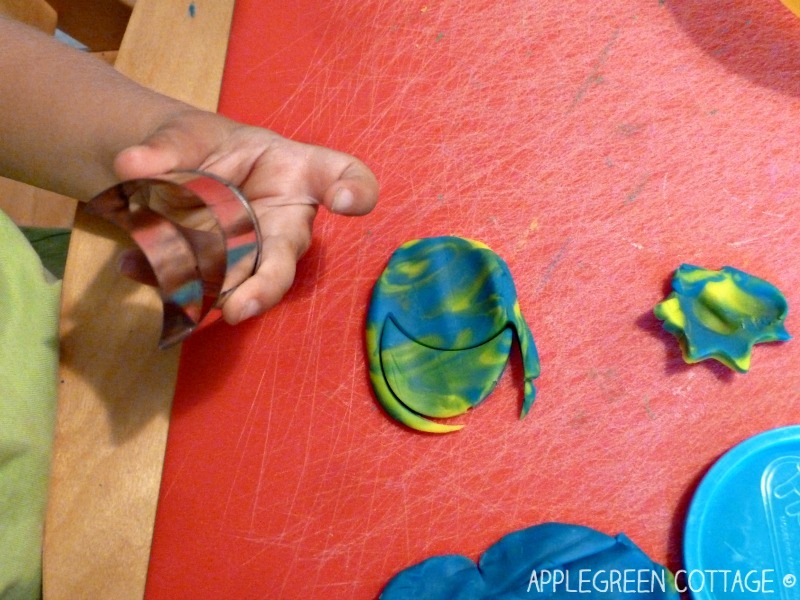 Green cookies - this time from play dough. At first they were yellow and blue, then getting more and more towards green. One of the ways to show your kid how colors are 'made'. I am sure the kids will love to learn this way and what's better is that they'll remember it too. 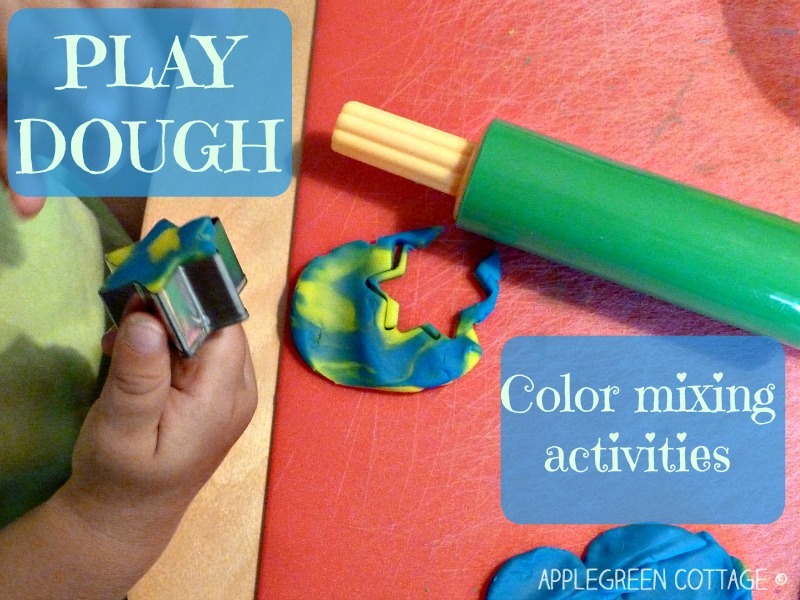 great color mixing activity!! Good thinkin'! Susen, thanks, I'm glad you like it. I love play doh :-) and it makes such cool colors when mixed! 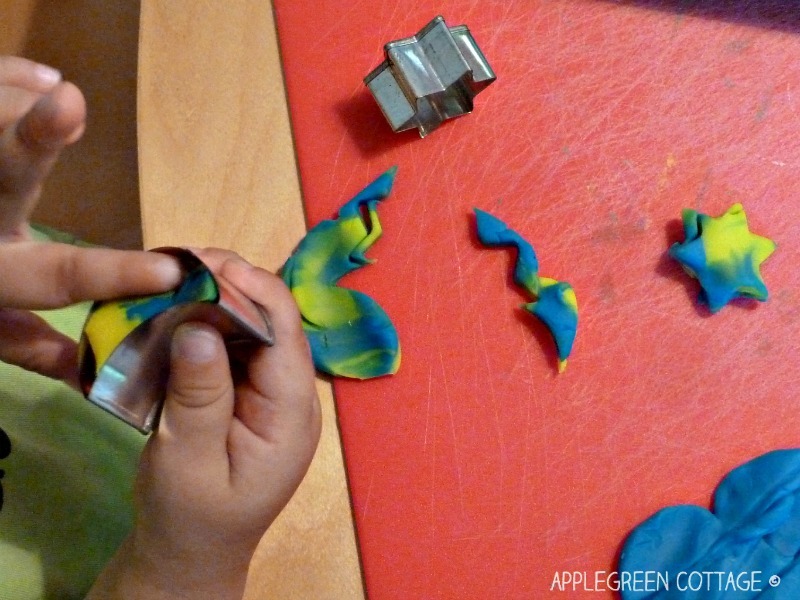 I love the idea of using cookie cutters! Hope that you are great! That is a good idea - my favourite mixing is using paint on hands.